If you’ve been following our news and updates, you’ve already heard about how Stratodesk rocked VMworld 2018, meeting with EUC superstars at the InsideTrack Topgolf event, technology partners and VMworld attendees at our booth, and more. 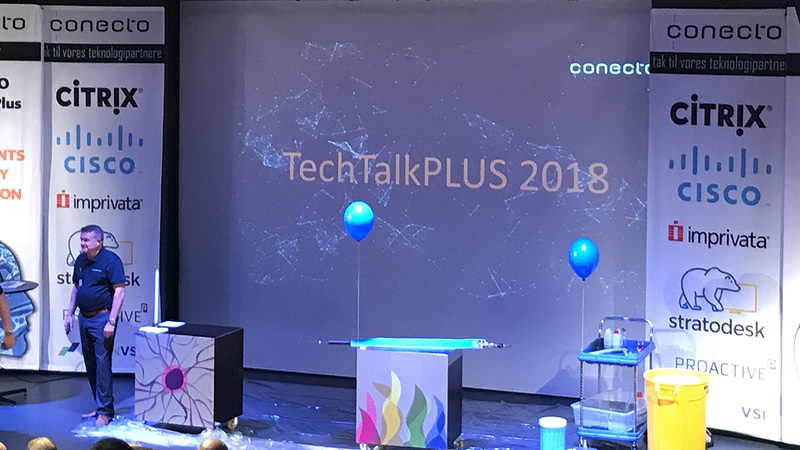 But while VMworld was coming to a close, we were also in attendance at Conecto TechTalkPLUS 2018 in Denmark. Conecto TechTalkPLUS is the Europe’s biggest Conecto event. Aimed to challenge and inspire you by sharing and discussing IT innovations, shoptalk attendees are given a chance to explore these innovations first hand and take what they learned into the development of their own platforms. This year, attendees had the chance to learn about innovations in VDI, IT, EUC and security trends that will help them stay ahead of the curve. At the Stratodesk booth, we met with attendees and shared how Stratodesk’s software is redefining endpoint user computing by delivering the #1 endpoint OS and management solution for complex VDI environments of mixed devices. 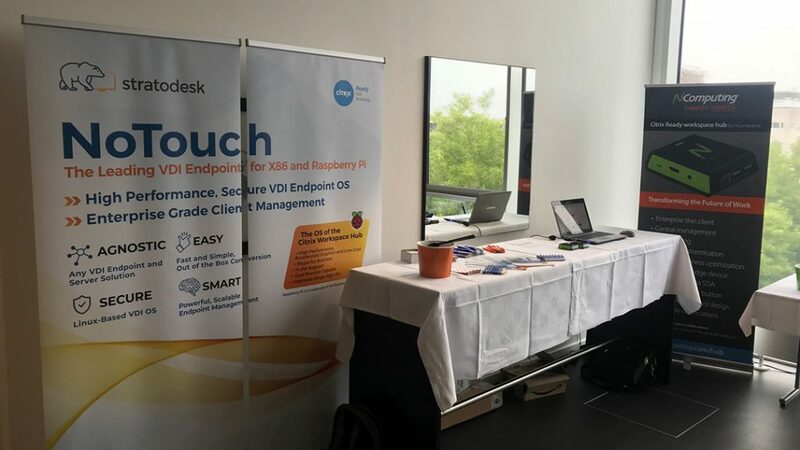 We were also able to show how our partnerships with Citrix (who also attended the event), NComputing and ViewSonic have made it possible to create the next generation endpoint device, the Citrix Ready Workspace Hub. Central to Citrix Workspace, the Workspace Hub comes with all the features you would expect from an enterprise grade endpoint available at only a fraction of the price of competing Thin Clients. Attendees who visited the Stratodesk booth were also able to get an inside look at how NoTouch desktop saves companies a fortune by removing the need to make capital investments in hardware, how NoTouch Cloud enables customers to run NoTouch Center from the cloud as well as on premises, and how NoTouch IoT is a game changer for enterprise IoT use cases. To learn more about the event, browse the album below and continue to follow our blog and social media for news about upcoming events that Stratodesk will be attending both in the US and Europe.